Old and new Ghostbusters cast set for Jimmy Kimmel PLUS who will record the iconic theme song? … and it’s pretty damned awesome! UPDATED: Ernie Hudson and original Firehouse join Ghostbusters reboot on final day’s filming. OMG! 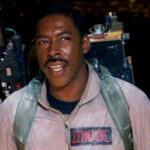 Is Ernie Hudson up for the role of King T’Chaka in Black Panther movie?! Bill Murray, Ernie Hudson, Dan Aykroyd and Sigourney Weaver together for Ghostbusters photo. This almost had us in tears of joy at FTN HQ, Seriously. See you at Dublin comic Con this weekend folks! It’s set to be a weekend to remember as the biggest and best guests from the world of movies and comics come to Swords, Dublin. Excelsior!